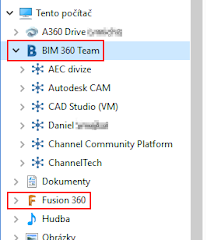 Since several years, Autodesk has been offering the system service "A360 Desktop" (part of the installation of CAD applications) that creates a "A360 Drive" - virtual drive linked to your Autodesk A360 personal cloud storage and handles bi-directional synchronization of your cloud storage with this virtual disk drive. AutoCAD mobile, online sharing of drawings and design views, and other services are based on this principle. Now Autodesk comes with a substantial extension of this service, called "Autodesk Desktop Connector" (or "Autodesk Drive"). 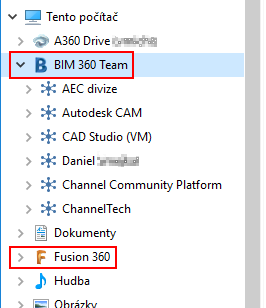 It is designed for team cooperation and supports the team-based cloud storage (hubs) Autodesk BIM 360 Team and Autodesk Fusion Team. 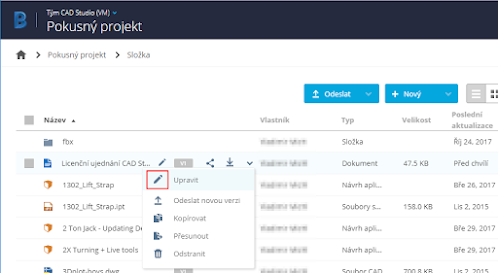 It synchronizes complete project- and file structure of your documents stored in these cloud-based project management systems with local folders on your computer, represented by virtual drives "BIM 360 Team" and "Fusion 360". All document types on these disks are automatically mirrored to- or from the cloud and so they are available in the latest version to all team members with the appropriate permission. Desktop Connector supports Windows 10, 8.1 and 7 as well as MacOS Capitan 10.11 and Sierra 10.12. Virtual disks appear in the standard disk and file tree structure in your Windows Explorer (or other file manager). You can choose the appropriate hub operated in the A360 Team and there the specific project, folder, and file. "Autodesk Drive" behaves similarly on Macs. You can work with this local mirror image of your cloud storage the same way as with any other local files - you can open, edit, rename, or delete documents. All changes made by you and by your colleagues are (with a minimum delay of up to 3 minutes) replicated to/from the cloud. It is also possible to work off-line. Deferred synchronizations are then performed on the next online connection. In the offline mode, you also have access to all the documents you have been working with in the last 3 days (72 hours). Editing and saving a file to this virtual disk means checking a new version of the particular document to the Team storage. 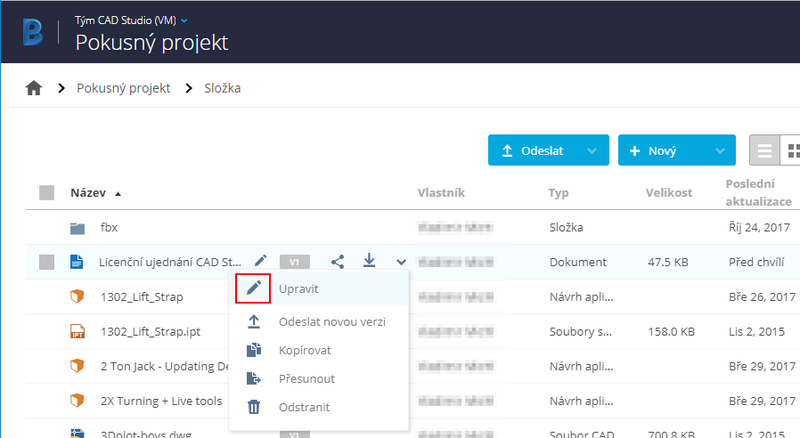 You can even work "locally" with your files in the cloud - in your web browser you can navigate to the desired document and select the "Edit" option in the shortcut menu to automatically launch the local editing application in which you can change the document (such as Word, Fusion 360, etc.). Autodesk Desktop Connector is simple to use - after its installation, a white "Autodesk" icon appears in the Windows system tray. In its context menu, you can then choose the online/offline mode, log in, or show pending and ongoing synchronization actions (transfers). 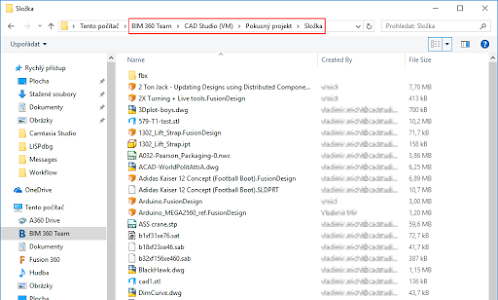 Desktop Connector is part of the new Inventor 2018.2 update (where it takes care of AnyCAD links with Fusion 360), or you can download and install it separately - from your A360 Team Hub (under the user icon) or from our site Download.